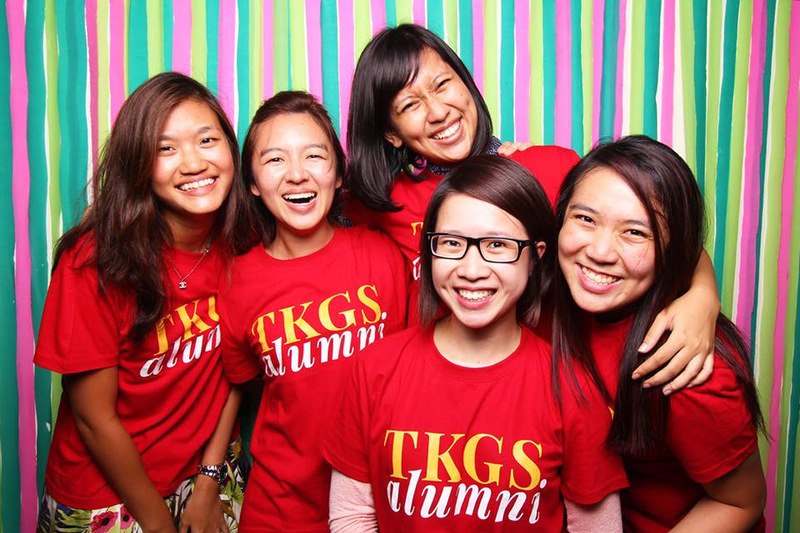 Calling all TKGS Alumnae! We are looking for volunteers and/or sponsors to support programmes meant for TKGians. These activities will take place between Oct 2015 to Jan 2016! The Alumni hopes to sponsor a souvenir for the graduating class of 2015. In 2014, each graduating pupil received a T-shirt and we are targeting to provide a similar gift this year. Please make a contribution so that we can give the girls a memento by which to mark a major milestone in life. Each year in January/February, the Secondary Three cohort spends a week engaging in activities to supplement classroom learning and enhance bonding. The majority participate in the Outward Bound School (OBS) programme. Those who are unable to attend OBS partake in a schedule loosely termed the “non-OBS programme”. 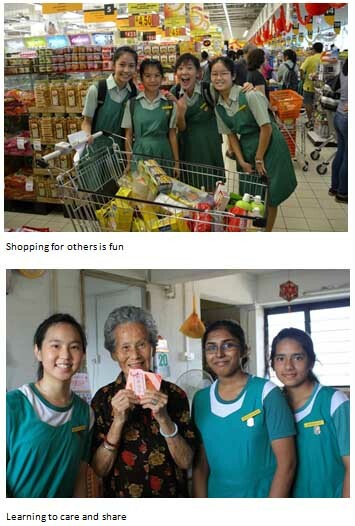 For 2016, TKGS Alumni is organising a charity drive under the non-OBS programme. Pupils will spend a morning at a supermarket learning the basics of buying household essentials. This is followed by instruction on packing the items for distribution. The next day, pupils will visit a neighbourhood to distribute the hampers and interact with recipients. The Alumni is appealing for your support in cash and kind (guiding the girls in buying, packing and distributing). 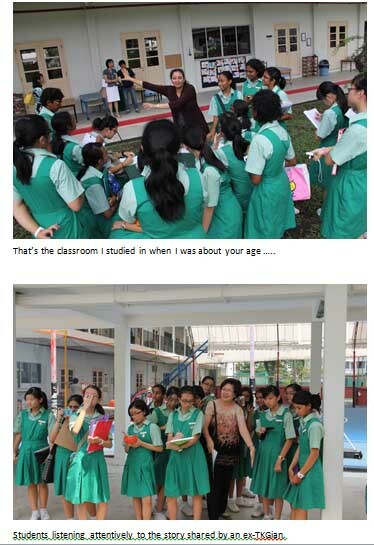 The orientation for Secondary One pupils includes a tour of our former school grounds at Tanjong Katong Road. This programme is led by ex-TKGians who spent their school years in the premises now occupied by the Canadian International School. We are appealing to ex-TKGians to come forward, lead a tour and share your memories with the 2016 Sec 1 cohort at the start of their education with TKGS.